Your perfect wireless companion is finally here. Beats by Dr. Dre latest audio product, the Beats X, is now finally available in the Philippines. With up to 8 hours of battery life and Fast Fuel charging, you can experience authentic, clear sound throughout your day. Its unique Flex-Form cable provides all-day comfort and easy pocket portability, while ear tip options provide a personalized fit and secure-fit wingtips offer added stability. Beats X is sleek, light, and compact – the kind you can bring with you wherever you go. It’s easy to set up – just power on and hold near your iPhone – and then simultaneously connect to your Apple Watch, iPad and Mac. Equipped with Class 1 Bluetooth technology, Beats X efficiently goes wherever you go, wirelessly. 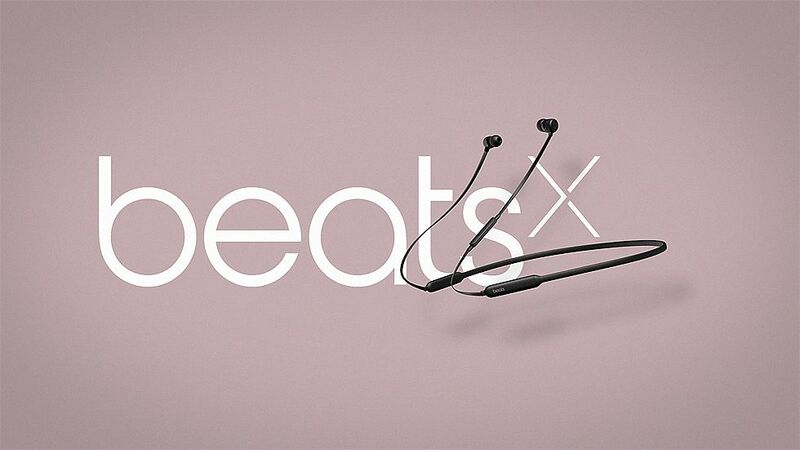 Whether playing in your ears or hanging around your neck, Beats X is incredibly sleek and comfortable for all-day wear. The unique Flex-Form cable provides a flexible fit, a variety of eartip options provide personalized comfort and secure-fit wingtips offer added stability. And when you’re not wearing them, magnetic ear buds keep your earphones tangle-free and they easily coil up for compact portability. So whatever choice of music you listen to, Beats X promises a unique listening experience. Featuring an 8-hour battery powered by the efficiency of the Apple W1 chip, it is ready when you are. Fast Fuel gives you 2 hours of playback from a 5-minute charge. RemoteTalk allows you to take calls with a built-in mic, play music, adjust volume and activate Siri. With easy to use controls, you can seamlessly switch back and forth as you go about your day. Beats X is your perfect wireless companion, fit for life. For availability of Beats X, contact the sole distributor of Beats by Dr. Dre in the Philippines, MSI-ECS. Call (02) 688-3512 or email inquiry@msi-ecs.com.ph.